With the end of 2018 rapidly approaching, it’s already time to start making up Best of the Year lists. To that end, The Game Awards have announced its 2018 nominees, and it’s a stacked lineup. God of War and Red Dead Redemption 2 lead the race with eight nominations apiece, while Spider-Man lags slightly behind with seven. There’s also some surprises on the list – 2D indie platformer Celeste picked up four nominations, as did the divisive Detroit: Become Human. 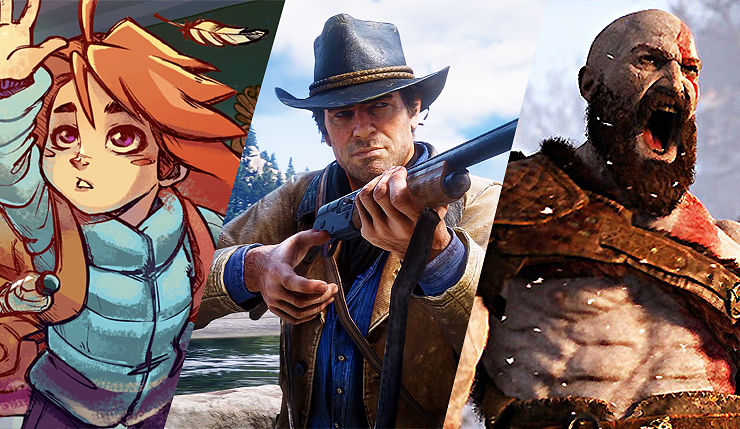 What do you think of the Game Awards nominees? Any games you’re particularly pulling for? I hope Celeste actually picks up an award or two, as it really is an excellent game. Same for A Way Out, which I thought was hugely underrated – one of the most innovative, creative games from a major publisher this year. Of course, RDR2, God of War, and Spider-Man also richly deserve to take home some trophies, but they don’t exactly need me to advocate for them. The Game Awards are produced by Geoff Keighley and grew out of the old Spike Video Game Awards. Since debuting in 2014, the awards have given Game of the Year to Dragon Age: Inquisition, The Witcher III: Wild Hunt, Overwatch, and The Legend of Zelda: Breath of the Wild. This year, Keighley is promising a number of content announcements for ongoing games, as opposed to the usual new game reveals. The Game Awards 2018 emanates live from the Microsoft Theater in LA on November 6. The show will be available on YouTube, Facebook, Mixer, Steam, Xbox One, and PS4, to name just a few of the streaming options.